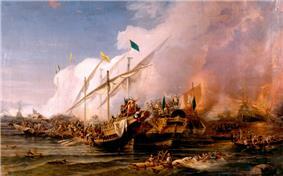 The Third Ottoman–Venetian War was one of the numerous Ottoman–Venetian Wars of the period. The Ottoman Emperor Suleiman the Magnificent had been angered by a treaty signed between the Republic of Venice and the Habsburg Empire of Charles V. One of the main events of the war was the Siege of Corfu (1537), and the decisive Battle of Preveza on 28 September 1538. 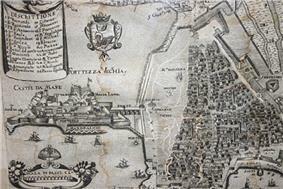 It was followed by the Siege of Castelnuovo in 1539. 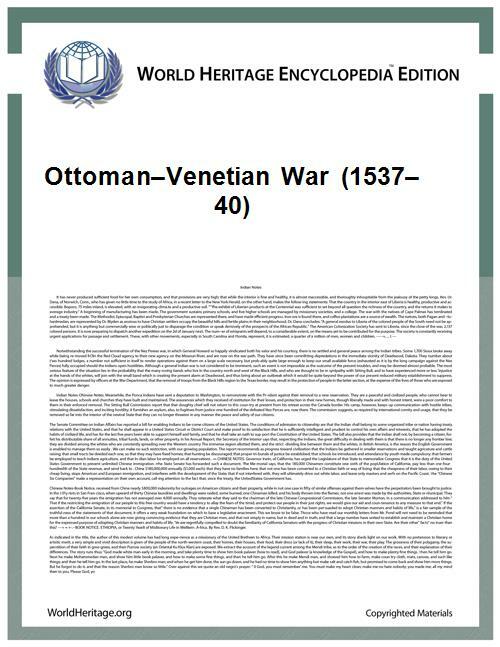 A treaty or "Capitulation" was signed between Venice and the Ottoman Empire to end the war on 2 October 1540. In the period between the start of the Second Ottoman–Venetian War in 1499 and the end of this war in 1540, the Ottoman Empire made significant advances in the Dalmatian hinterland - it didn't occupy the Venetian cities, but it took the Kingdom of Hungary's Croatian possessions between Skradin and Karin, eliminating them as a buffer zone between the Ottoman and Venetian territory. The economy of the Venetian cities in Dalmatia, severely impacted by the Turkish occupation of the hinterland in the previous war, recovered and held steady even throughout this war.